A bold new venture for an inspiring client. 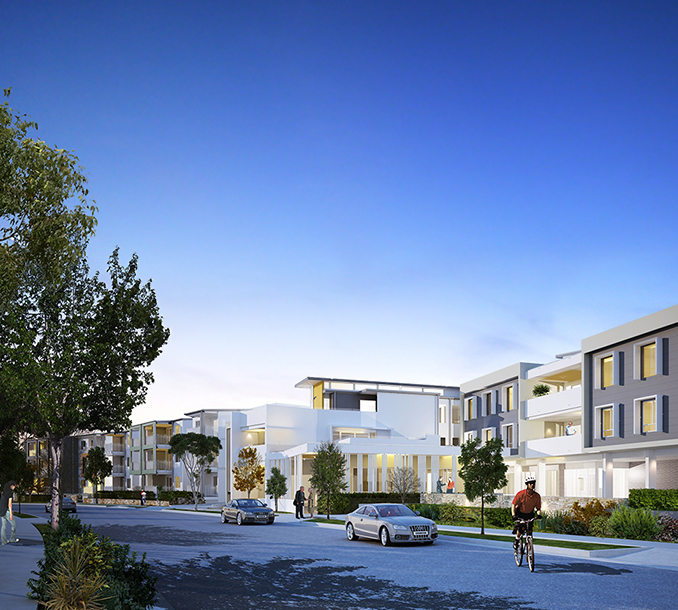 A new Residential Aged Care Facility designed around a household model of care, with a significant community component. Intended to make aged care not look like conventional aged care. 150 bed care home with a new welcoming entry plaza as the gateway to the established Hawkins Masonic Village retirement community. 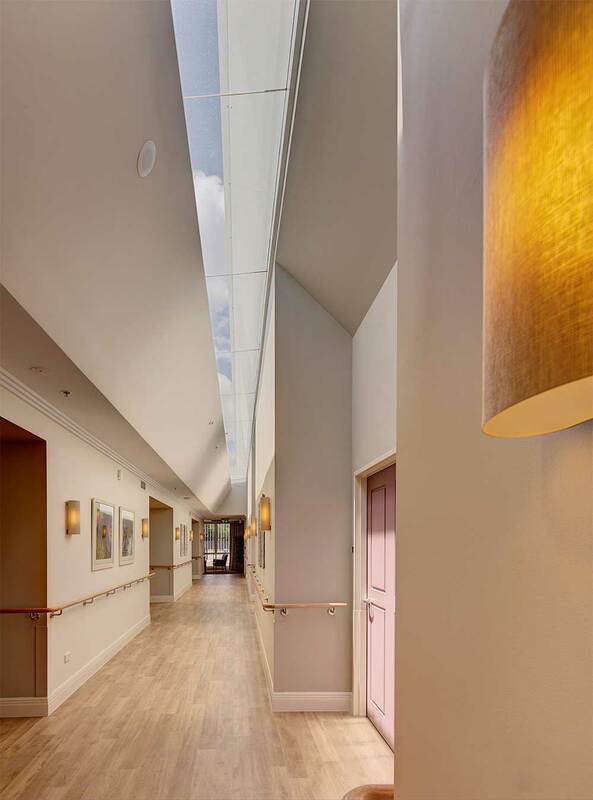 We planned and designed the new Dudley Foord House, a residential aged care facility by Anglicare, from the ground up with a strong focus on quality of life for its residents. This facility comprises of 104 beds in 8 wings and is specifically tailored to the needs of the various levels of care required by residents. 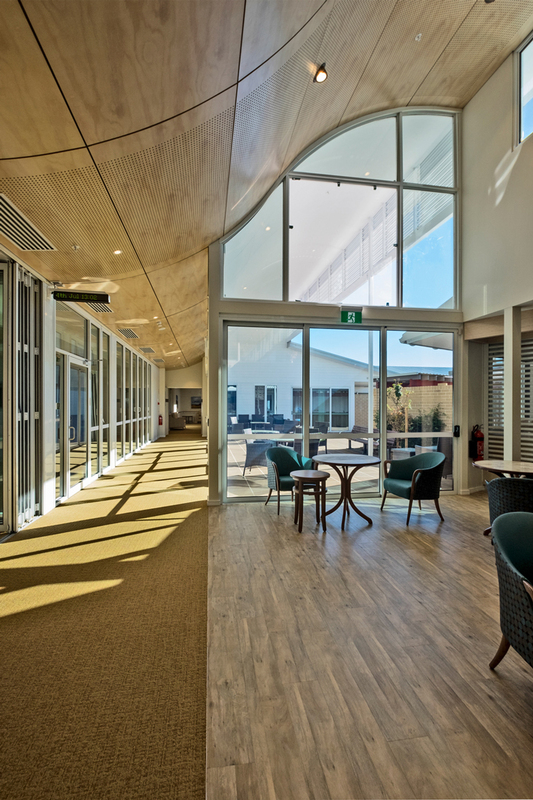 The new Residential Aged Care Facility (RACF) opened in 2017 and includes a large commercial kitchen, café, hairdressing salon, chapel and wellness areas; as well as extensive external courtyards, golf putting green, sustainable community garden space and break-out areas. 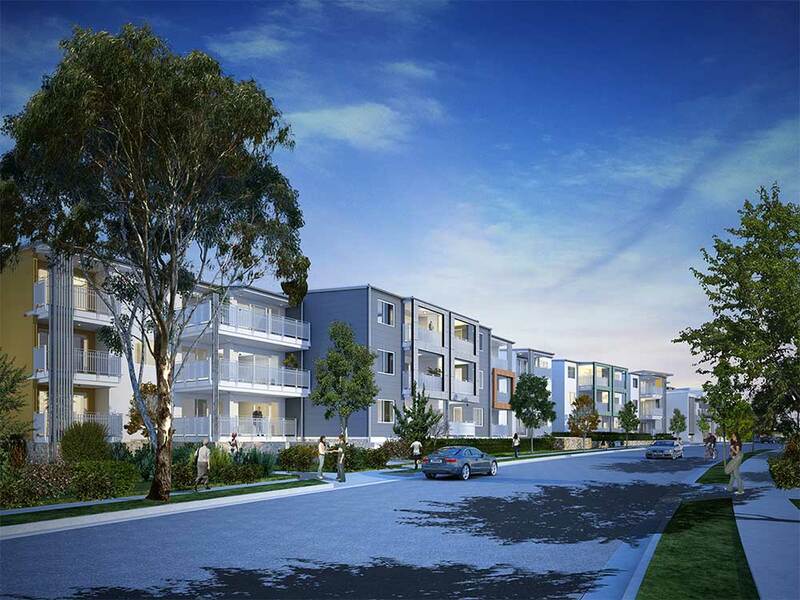 The Royce is a luxurious development of 145 independent living units and a 126 bed aged care facility, which forms part of the Penrith Panthers Masterplan. The design philosophy behind the development is to allow for ‘Ageing with Choice’. ‘Ageing with Choice’ brings services to the individual within their home, meaning that they can choose to stay in their own home longer, and fostering an environment where people continue to live in a community, retaining their friends and interests. The development has been designed to provide flexibility in the layout of individual apartments, enabling the internal design to change to respond to the needs of the individual, such as altering the layout of the kitchen and bathroom to accommodate a wheelchair. 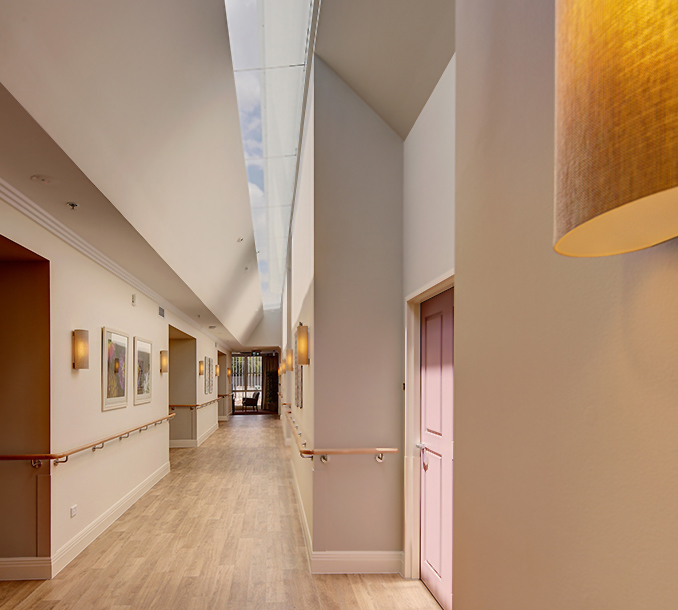 We designed a new Aged Care Facility for Allity Aged Care with the key vision of designing a superior facility that embodied the Allity brand and its market position. Using our collaborative approach, we fulfilled their requirement for a Hamptons-style home creating a relaxed and tranquil environment for their residents that fits comfortably within the Pemulwuy environment. Completed in 2017, the facility holds 130 beds and is perfectly setup for the functional and spatial requirements of caring for its residents. As part of a major upgrade to their service buildings, CASS commissioned us to design a new 63 bed Residential Aged Care Facility. We considered the aspects of the site and ensured we were capturing the best outlooks for each area. The U-shape of its footprint defines a private north-facing courtyard garden for residents, away from the street. The western facade fronts Fifth Avenue as the primary elevation and is well articulated with deep verandas and balconies off all rooms. The five-stage development also includes a new childcare centre, community hall, administration office and auxiliary services. The materials are simple and contemporary, mixing the bold colour of the red glazed bricks with light rendered walls and perforated anodised aluminium balustrade. 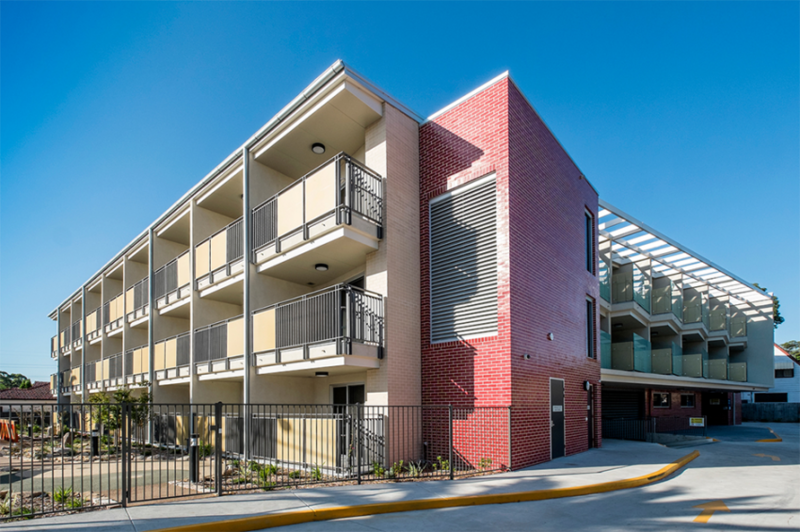 This Residential Aged Care Facility for Southern Cross Care includes a 100 bed RACF and 48 independent living units with basement carparking, plus a large community centre offering a diverse range of facilities to meet the needs of both the RACF and ILU residents as well as those within the broader community. The landscaping of the site was well considered to cater to all residents and includes specialised dementia gardens, private courtyards providing privacy buffers and quality open spaces adjoining communal areas. The project is part of the Urban Growth Thornton Masterplan in the centre of Penrith. 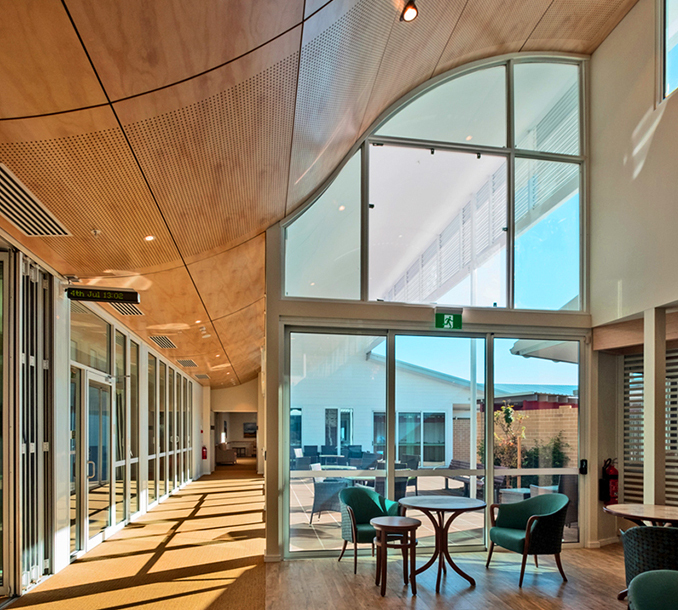 We undertook the complete redevelopment of an existing nursing home for Southern Cross Care to modernise their facility. 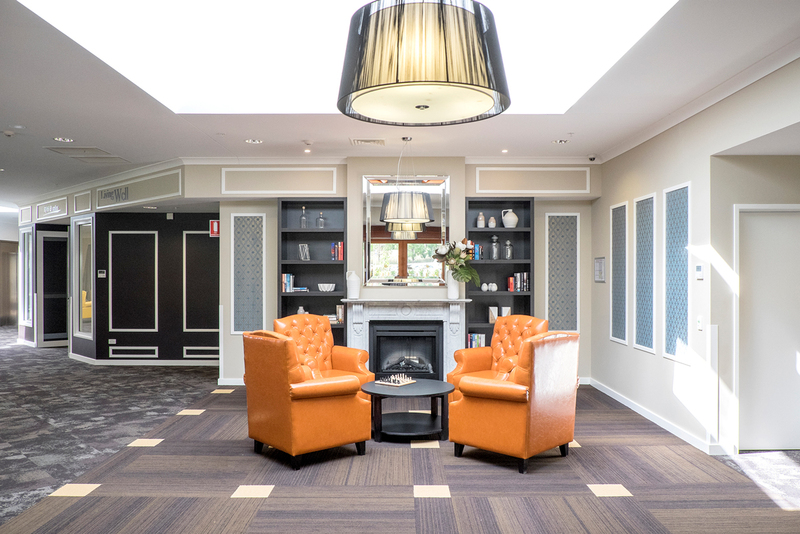 Focussed on creating spaces for a varied array of residents, the 113-bed Aged Care Facility is designed to create a warm and relaxing environment. Along with private suites, a communal dining area and games room allow residents to come together creating a sense of community. An ergonomic environment gives residents the freedom to be independent while facilitating staff to work seamlessly throughout the facility. Private suites were created with ensuite and kitchenettes and feature a range of mobility assistance systems. The redevelopment also included a Heritage House and Chapel. Gosling Creek Aged Care is a homestead style building designed to feel more like a boutique hotel than an aged care home. The single level building offers residents a premium level of comfort and amenity, while enjoying the beautiful rural setting of the Orange countryside. To create a community feel for the project, we designed the space around a central meeting point or ‘town centre’ with interconnecting wings and corridors extending from the centre. The site is comprised of smaller private living areas and comprises 120 beds total. The country charm of the site extends into the interior of the building to give residents a comfortable and inviting living experience.